At The Law Office of Rick S. Cowle P.C. in Carmel, New York, we provide quality, dependable legal representation in bankruptcy and foreclosure defense to help you find relief from your overwhelming debt while keeping your most valuable property and possessions. In addition, our law firm offers exceptional counsel and support in a variety of other legal areas as well, so you can find the effective solutions you seek for the important and pressing legal challenges affecting your life, your family, your business and your future. No matter how complicated your situation or the complexity of your needs, you can trust us to remain with you throughout all legal proceedings to help protect your rights and interests while fighting to achieve the positive outcomes you expect. Driven by our mission to deliver honest, dependable legal counsel under higher law, we treat all we serve with the utmost integrity and compassion while aggressively pursuing the most favorable results for our clients. 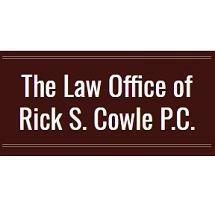 To find out more about how The Law Office of Rick S. Cowle P.C. can best help you find relief from overwhelming debt, help you save your home, fight on your behalf to help you secure the compensation you deserve after an accident or assist you with virtually any other legal challenge you may face, you can call our law office or visit our website to schedule a free initial consultation.